No. Wee mirrors are entirely right hand threaded. The base screws into the perch and the brass shaft taper gets squeezed into the base by the cover piece. i ask because i am having a REAL HARD time getting my right mirror off so i can install the extender. i guess some squirts of wd40 and try not to chew up the retaining nut. 1974 Yamaha RD350 maroon with a white racing stripe! I've discovered that Suzuki over tightens EVERYTHING. Thought I never would get the mirrors broken loose! Thanks for this thread! I was going nuts. 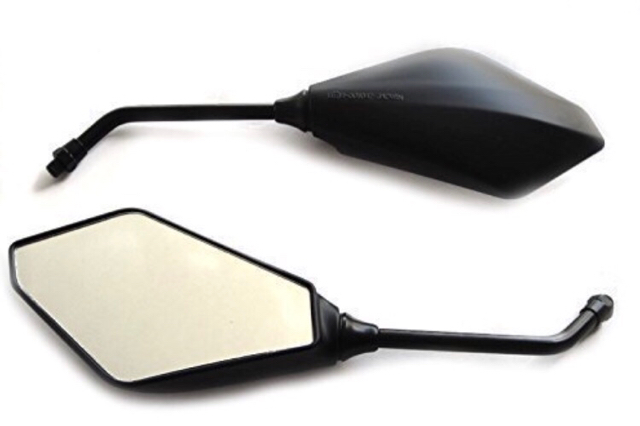 I’m obviously being very stupid here but I’ve just purchased pair of alternative mirrors for my 2017 650XT off Amazon which have ‘Standard RH M10 threads’ and which according to the literature fit Suzuki motorbikes. It appears to show the black mirror arm with the plastic cover, a sliding nut, a tapered brass fitting on the end of the arm (held in place with a rivet), all of which screws into a ‘fitting’ which I assume has a tapered core to accept the arm. 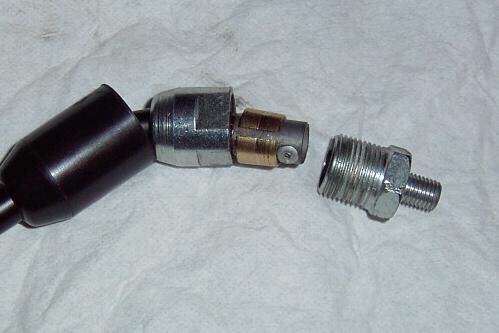 As you tighten this, the tapers lock together in whatever position is required. BUT, the thread on the end of this fitting looks VERY small, certainly not M10 (if you can agree with the scale): more like M6!! Has anyone with a 2017 650 recently replaced their mirrors and can confirm this? I don’t want to disassemble everything and risk scratching the finish if they’re not going to fit. Can't help with an L7, unfortunately, but I'm doing the Aprilia Tuono mirror swap on my K7 DL1000 today. I had to read up a bit to convince myself that the stud is actually right-hand thread because it's on so darn tight. My set of Tuono mirrors came from Amazon, and look different from yours. Mirror Extender Instructions - AdventureTech, LLC. I found this extremely helpful. My 2017 650XT definitely has LEFT-HAND threads on the nut between the arm and the fitting, and then standard Right-Hand thread between the fitting and the handlebar mounts. They will fit. All V-Stroms have RH threads in the mirror stalks that mirrors screw into. It is only the cinch bolts on the stock mirrors after 2012 That have left hand threads. Change the mirrors and the threads on the stock mirror cinch nuts become irrelevant.